Posted by Sam Smith on Monday, August 8th, 2011 at 2:59pm. 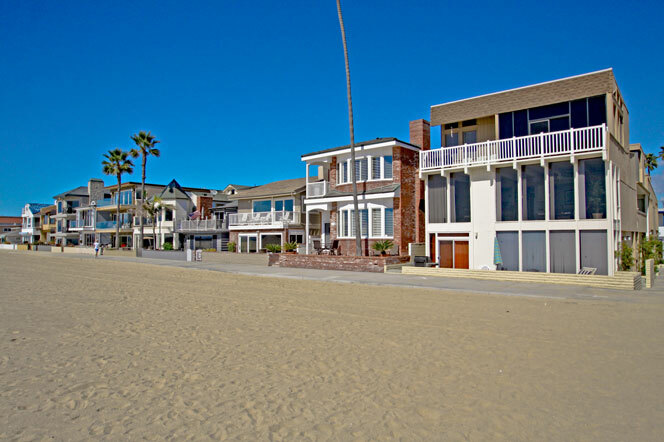 If you are looking for a beachfront home located on the sand you have many options in Newport Beach. A lot of the waterfront and bayfront homes also have a sandy beach that goes out to the bay so many of the water front homes are also considered beachfront homes. if you prefer to be beachfront where you face the pacific ocean then you may want to consider the beach front homes located in the Balboa Peninsula Point area. The Balboa Peninsula point is a long stretch of land that faces the Pacific Ocean & Newport Bay. The street "Oceanfront" is where you will find properties that sit directly on to the sandy beach. Keep in mind that many of the homes located on Oceanfront will have a boardwalk in front of your home where tourists and locals alike travel back and forth to the Newport Pier. If you privacy is a factor, this area may not work for you. If you do like the energy that comes from this active community then you may want to consider a new beachfront home that has come on the market that offers single level beach front living at it's best. No matter what you choose, the Balboa Peninsula Point is a great area to live. For more information on Balboa Peninsula Point homes for sale please contact any of our Newport Beach Real Estate agents today at 949-444-1901.